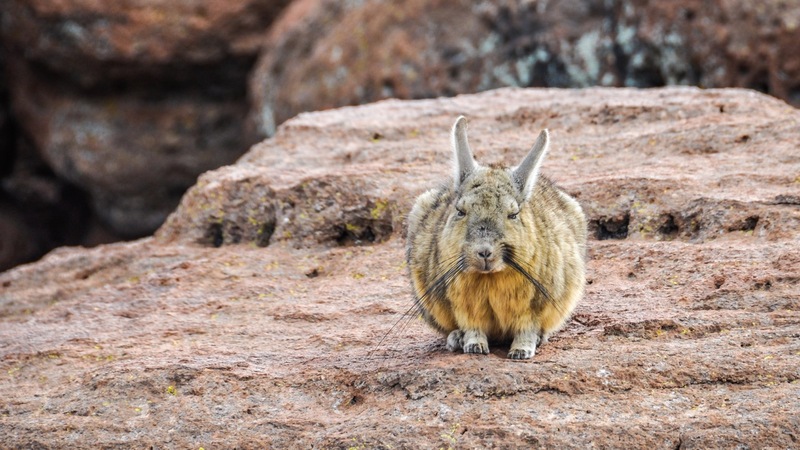 Bolivia’s barren landscapes will have you questioning your existence on earth in no time at all. The Salar de Uyuni tour starts at the Uyuni Salt Flats. You’ll query the difference between the earth and the sky, touching one and the other on this privately guided luxury tour. 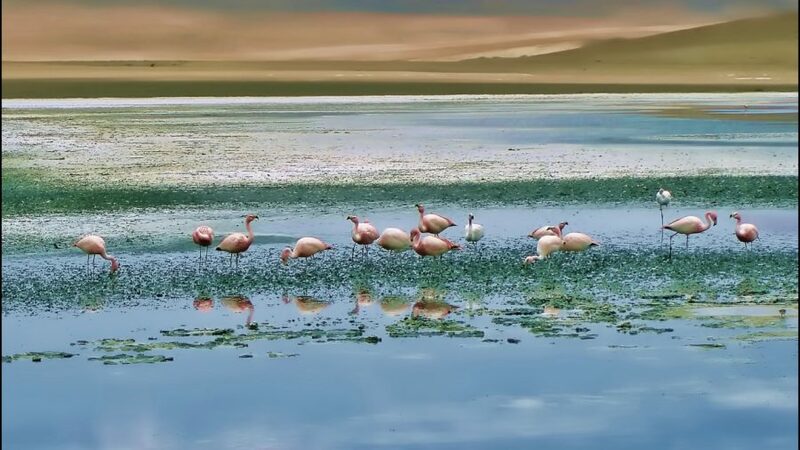 Delve deep into the Siloili Desert, with its lakes of astounding, oil palette colours, as magnificent flamingos hold court in a natural habitat straight from a Salvador Dali painting. 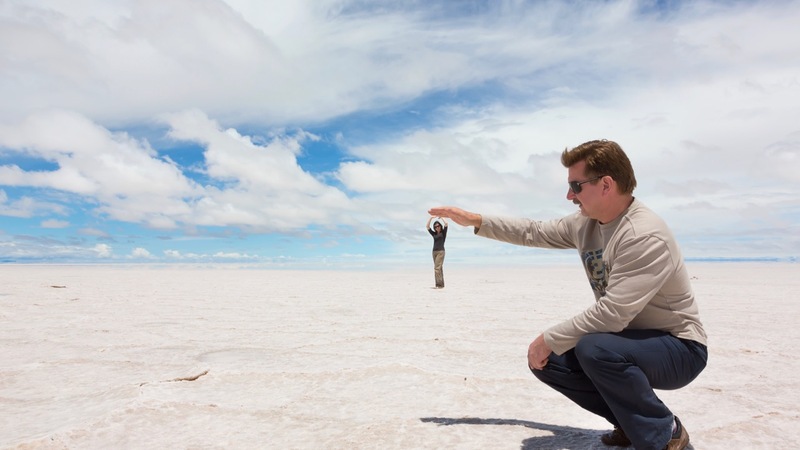 The Salar de Uyuni tour is mesmerizing. The 360-degree panoramic view of the world’s biggest Salt Flat, where the sky meets the earth, is an astounding feat of nature. Travel in comfort throughout in private transport, stopping each night at some of the best quality accommodations in the region. 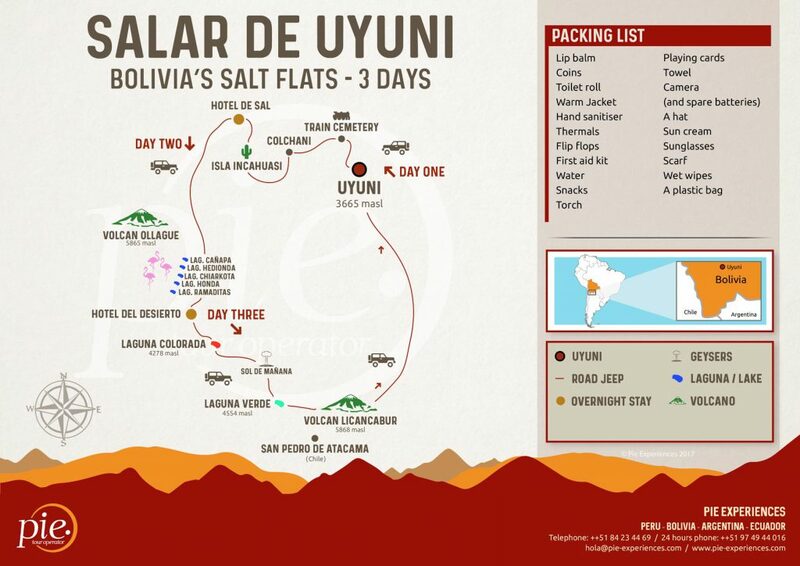 Click through to “Tour Plan” to see the full itinerary for the Salar de Uyuni tour with Siloli Desert. 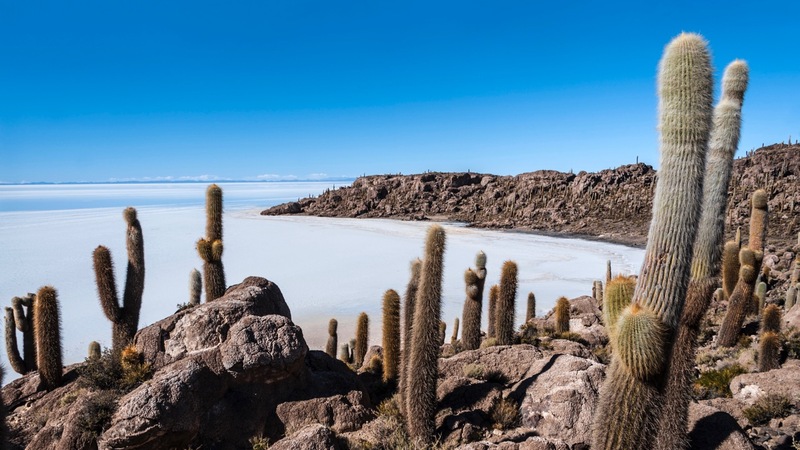 Day 1 | Uyuni: Your salt flats 3 day tour begins in Uyuni as you venture by private vehicle towards the Uyuni Salt Flats. Make your first stop at the Train Cemetery, a site of broken down trains. Travel on to the Museo de Sal and Incahuasi Island, before spending a comfortable night in Tayka del Sal – a salt hotel located at the foot of foot of Thunupa Volcano. Day 3 | Uyuni: Rise early to explore the hot springs and geysers of Eduardo Avaroa National Reserve. 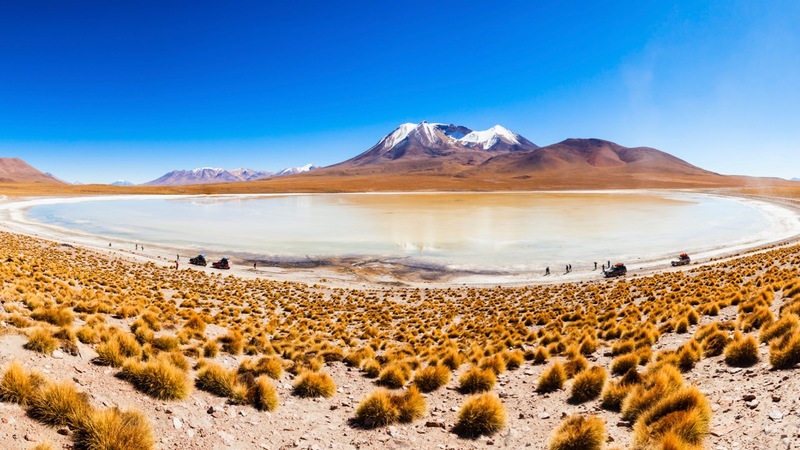 Today’s highlights include the Dali Desert, Laguna Verde, and Laguna Colorada. You will return back to Uyuni for an afternoon departure. 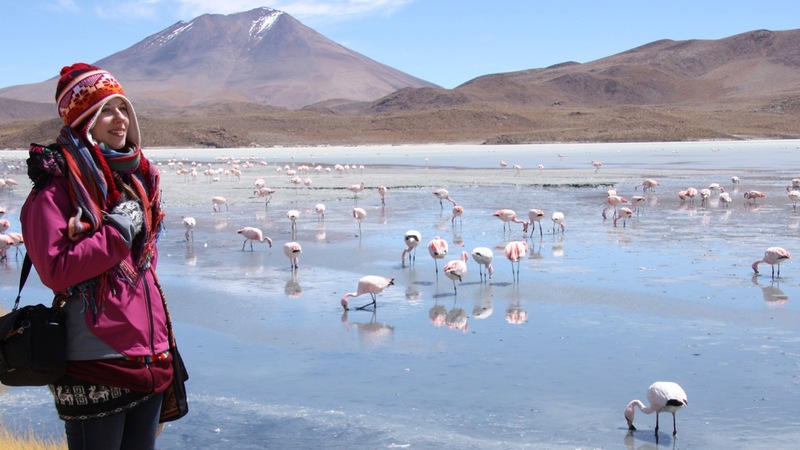 Your adventure will start as you journey toward the city of Uyuni, visiting the biggest Salt Flat in the world. 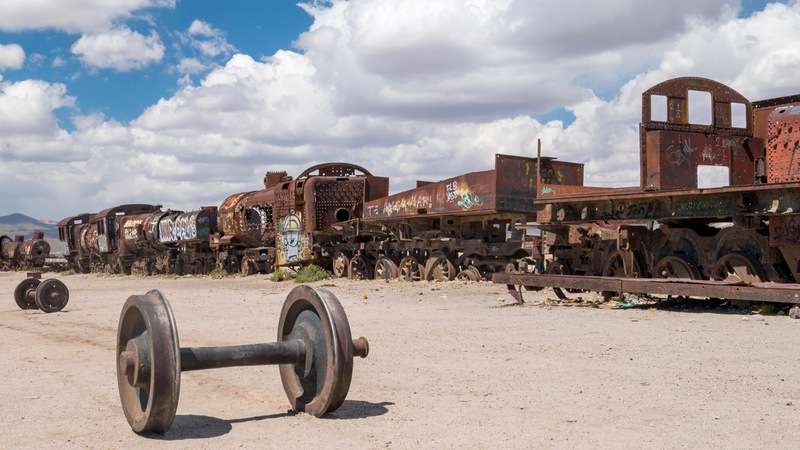 Your first stop will be the Train Cemetery, where you can see abandoned engines and hollowed out rail cars that have been stripped back to their skeleton frames. 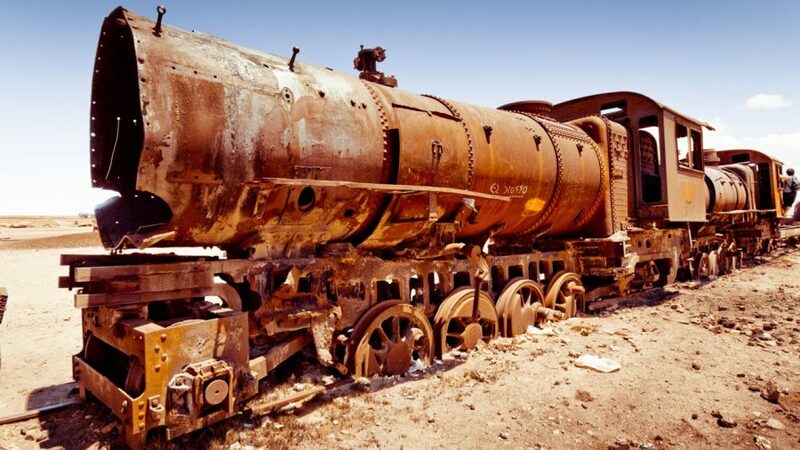 Once making up part of the railway lines that connected Uyuni and Antofagasta (now Chilean territory), the trains transported minerals like tin, silver and gold. When Bolivia lost its coastline to Chile in 1904, access to the Pacific Ocean was lost, meaning that its railway line was affected enormously. A visit to the ‘train cemetery’ is one of the most interesting options for the passionate traveler who enjoys seeing the remains of recent historical changes. 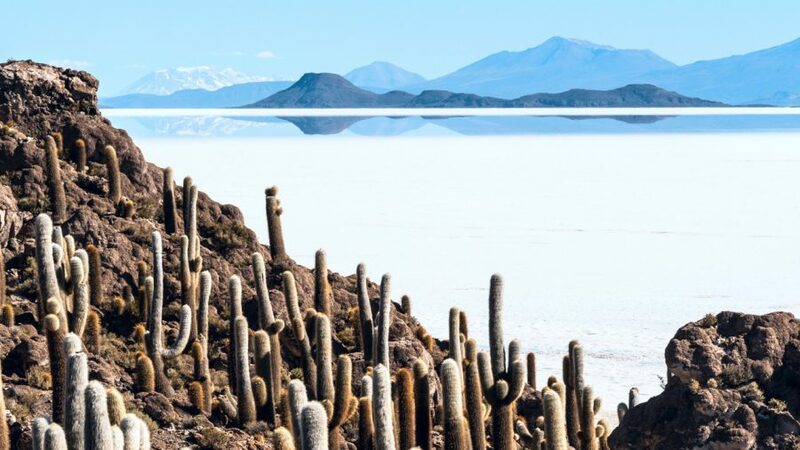 You will be visiting the small town of Colchani, where you can learn more about Uyuni’s mining past and its current artisanal salt production. 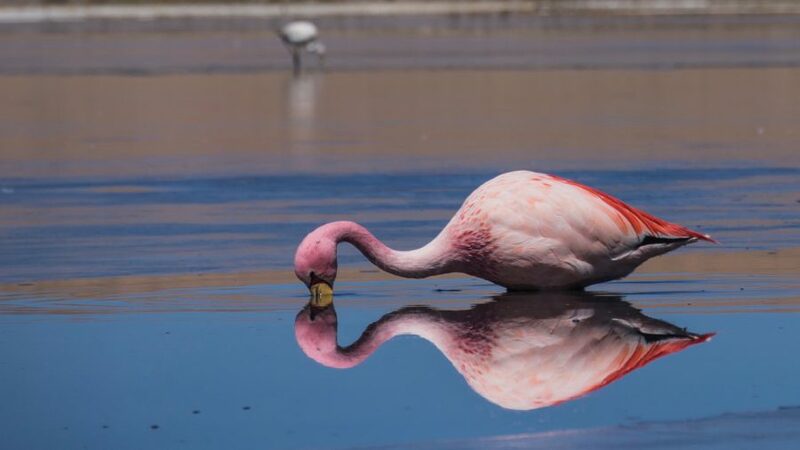 Entering the amazing Uyuni Salt Flat, you will visit the Museo de Sal and if the season is right (December to March) you will be able to see fantastic optical illusions, visiting the “Ojos de Agua” (eyes of water), salt eruptions, learning about the development of this huge salt lake. At noon, you will reach Incahuasi Island in the middle of the Salt Flat. Take in calcareous rocks, large populations of cactus, local fauna and spectacular 360-degree panoramic views of the Salt Flat from the summit of this outcrop of land. 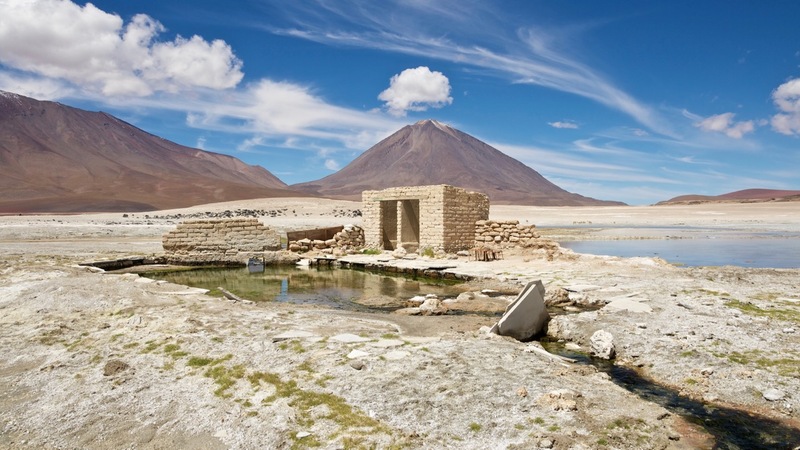 Continuing north of the Salt Flat, we’ll visit a local museum, a home to pre-Columbian mummies. Spend a night sleeping in the Salt Hotel called Tayka De Sal. This unique hotel, the very best of its kind in the Salt Flats, is located at 3,700m.a.s.l, at the foot of the Thunupa Volcano. With every possible facility needed for a luxurious night’s rest, enjoy heating, a private bathroom and hot water to ensure that your stay enables maximum comfort in this otherwise barren landscape. Leaving the Salt Flat behind, you will travel along an eternally snowy volcanic mountain en route to Lípez. Observe from a distance the Chilean Ollagüe Volcano, noting the constant plume of steam that arises from its summit. Your eyes will be delighted by the great richness offered by the Eduardo Avaroa National Reserve, distinguishing itself with vast, cold deserts and salty lakes that come from the reserve’s glaciers, wetlands and bogs. One special tourist attraction are the huge flamingo nesting colonies, graceful and serene in their huge numbers. Watch these animals in their natural habitat before taking your rest at the Tayka Hotel Desert, located in the magnificent landscapes of the Siloli desert. Today you’ll rise early, starting the tour at approximately 5:30. You’ll be exploring the Eduardo Avaroa National Reserve, arriving at the smoky and noisy geysers of “Sol de Mañana”. Bathe in the hot springs before continuing our trip through the reserve. Take in the panoramic view of the Dali Desert, where columns of stones sculpted by the wind resemble the work of this famous painter. You’ll be taking time to visit out of this world, salt filled Laguna Verde (Green Lake), at the foot of Licancabur volcano. With its convention beating temperatures, prepare to be taken aback by the deep colours of the lake. 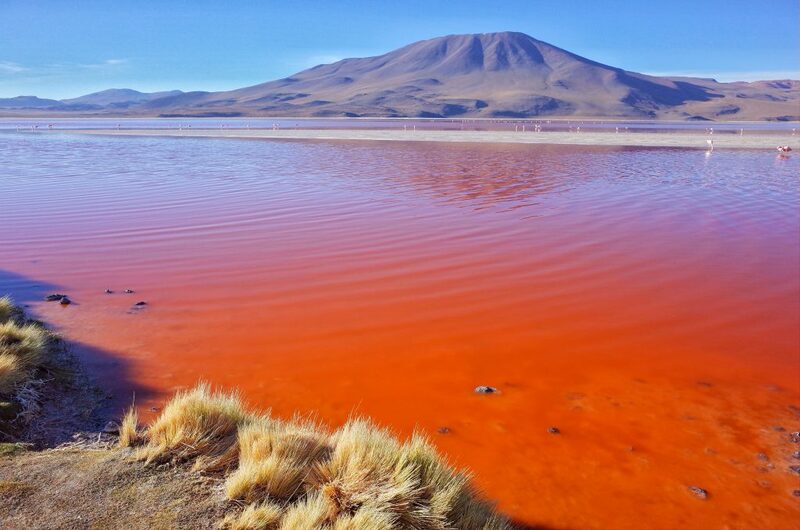 Taking the road back, you will visit the Laguna Colorada (The Red Lake), given brown and intense red colors by the algae and plankton in the water. Another main flamingo-nesting site, it’s possible to observe three kinds of flamingos from the region: James, Andino and Chileno. In the afternoon you will be walking around Rocks Valley, where giant volcanic rocks tower between 8 to 15 meters high. Our last stop will be San Cristóbal village, moved from its original site to its current location to accommodate one the biggest mines in Bolivia. You’ll be arriving back at the Uyuni City approximately at 4pm, so you can take your flight back to La Paz or take your night train to Oruro. Laguna Colorado on the Uyuni Salt Flats Tour. Picture by Ounie Christianson.